Complete and comprehensive guide to teaching the classic Roald Dahl novel! 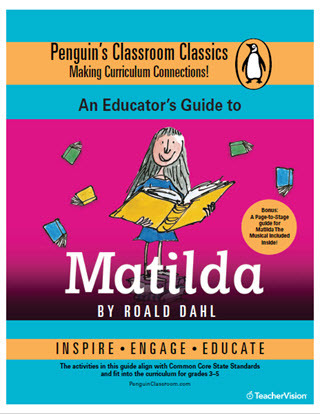 This educator's guide for Matilda by Roald Dahl includes activities aligned with Common Core State Standards for grades 3-5 in English Language Arts. Featuring four weeks' worth of comprehensive lesson plans for the novel, it also includes a page-to-stage guide for performing a student production of Matilda The Musical. These special drama exercises were created by the Royal Shakespeare Company.